The film opens in Cuba, an abundance of beautiful landscapes and low angled shots of girls dancing in skirts so short as to make them redundant. A race is about to start between Dom Toretto (Vin Diesel) and a local racer. Dom, ever the family man, is racing to help his cousin who just lost a bet, because if there is one thing that has been made crystal clear throughout the series, it’s that nothing is more important than family, and perhaps a Corona or two. Dom’s car is very much on its last legs, racing against the rival’s high powered vehicle. Everything indicates that Dom cannot win this race, even with the help of a product placement coke can which Dom uses for part of his engine. He offers some words of wisdom, a moment of reflection if you will, “He knows it doesn’t matter what’s under the hood, the only thing that matters, is who’s behind the wheel”. That line, as absurd as it is, quite succinctly summarises these films, which began as straight to DVD and now dominate the box office with a net worth of over a billion dollars. The films are, for the most part, utterly ridiculously, with narratives that have japing crater-sized holes, yet each adventure is roaring good fun, with the exception perhaps of ‘Tokyo Drift’. 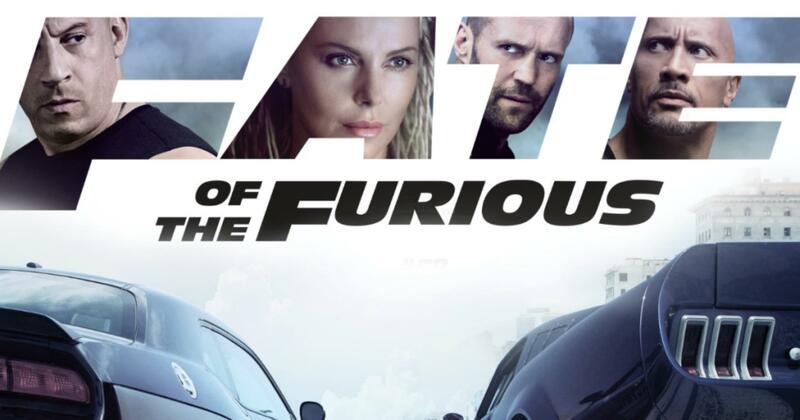 Not only has the ‘fast and furious’ series become the little engine that could, but it has established itself at the forefront of diversity, because over the course of 8 films, the crew has steadily grown to include a multitude of ethnicities, races, and genders, and achieving this all quite naturally. What is remarkable, is that unlike other franchises where the equilibrium of quality and money is normally in favour of money, meaning we continue to receive atrocities such as another Pirates or Transformers film, Fast and Furious continually becomes more entertaining by trying new things. The series moved from mere street racing, to international espionage, and with the addition of big names such as The Rock and Jason Statham, it gave the series a new energy. ‘The Fate of Furious’ sees Dom turn against his team as new cyber terrorist villain Cipher (Charlize Theron), see what they did there? Blackmails Dom into submission. It’s an interesting dynamic for both the team, who debate and theorise Dom’s new motivations, and for Dom himself, who becomes more intense and emotional than we have seen from him thus far. His narrative, which for nearly the entire film, is separate from the rest of the team, oscillates between soap opera and a spy thriller on wheels. Thankfully though, the reason for Dom’s betrayal not only makes sense, but fits within the overall fast and furious arc. The film is roughly divided between an assortment of dynamics, with Hobbs (Dwayne Johnson) and Deckard (Jason Statham) playing off one another, initiating a blossoming bromance and a test for their upcoming spin-off film together which was greenlit this week. Though their action scenes are wildly entertaining, their dialogue needs work, swapping references to one another’s previous film projects and at times delivering some unimaginative insults. How many times must we hear about teeth being kicked in, to then be brushed in an entirely crude manner? Statham’s script sounds suspiciously like an American trying to write British humour, which I sadly suspect is the case. Furthermore, Dame Helen Mirren makes an appearance as Decker’s mother, a solid character who I hope we will continue to see in later films despite the unnecessarily crude and awkward lines “I’ll give you until I finish me cuppa” and “God’s bumhole”. Beyond these minor oddities, the rest of the team deliver on their usual character tropes. Roman (Tyrese Gibson) delivers his usual one-liners and panicking action sequences. What is quite unnerving is the dynamic between Roman, Tej (Ludacris) and Ramsey (Nathalie Emmanuel) with both men continually hitting on her. It’s tedious and unnecessary, why a woman can’t just be on the team is beyond me, though it is an issue that seems to be resolved by the end of the film. The Fast and Furious series has explored technology in past films with the inclusion of a programme called ‘God’s Eye’. Technology is very much a developing component of the series, particularly in this installment. Hacking into the vast number of cameras, disguising locations, using an EMP on a Russian base or, in one of the most entertaining scenes in the series, hacking into hundreds of cars and using them remotely. It’s refreshing when a film accepts the capability of technology, and rather than contemplate the long-term effects for society, simply has fun. For there is never a moment where anyone says lines such as, but how are they doing that? Or surprise that something has been hacked. ‘The Fate of the Furious’ just knows that this is all entirely possible, if not now but very soon. OVERALL *** A worthy, somewhat darker addition to the series, with an interesting new dynamic that works well. RECOMMENDATION – Solid entertainment, one worthy of your time.